Electric Blanket - It is not news anymore that the cost of gas and petrol has been going up in recent month, and years. But with the tension piling up in the middle east, the average cost of heating a house has also gone up. The effect of course is going to be felt by those in the middle or lower income. Those with children and the elderly will also feel the pinch. But is there anything you can do to help save those pennies? Well, there's a number of real practical steps can can help. They won't just make very dramatic difference very quickly, but with determination and focus, you could start to see those bills come down. 1. Electric Blanks - using an electric blanket can help not only to reduce your bill, but is also helps to keep you warm when you need it most. In the UK last year, the winter was the coldest since records began. That saw the elderly and the frail needing help to keep warm. These as we know are always the most vulnerable in the society - and they the ones most likely to suffer most in extreme conditions. So, with very little money coming in, the best way for them to keep warm and not pile up the bills is through these Electric Blankets. 2. 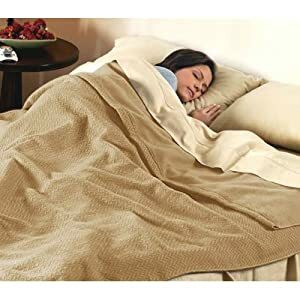 Heated Blankets - These work in the same way as the electric Blankets, but the difference is that they don't need to be connected to the main power supply constantly whilst using. A simple quick and a few easy minutes heating is all you need. Most (especially the good ones) come with special heat retaining inner lining that keeps them warm whilst wrapped around the body. As with electric blanket, it is worth checking with your doctor for health and safety advice if you intend getting one. Although, there's a general concern for pregnant women and those with weak immune system using it, some people still think it does not have any health issues. But it's checking though. With most things in life, it is hard to recommend a single one that will be ideal for everyone. A lot of factor can determine which one you will choose to go with. For example, some people will prefer heated blanket because it requires a short time of heating; and can continuously be used thereafter. While others may want the Electric blanket constantly plugged in. Apart from those points, what you should really be checking is the cost, maintanability, quality, safety and size. The focus here is to safe money and ultimately help keep us warm in the harsh winters. If they meet all those qualities and yet fall within your price range, please go for it. Have you used any of these blankets? Did you safe any money, did it keep you warm? We would like to know. Leave a comment below.